The Bitcoin and other popular cryptocurrencies have suddenly jumped up in the market and gain a good position. The Bitcoin has jumped above $5,000 for the first time in the previous five months. The instant surging of the cryptocurrencies has a ripple effect over the entire market and the market cap is also bounced from $146 to immediately $163 billion on Monday. It is a recorded sudden jump of the cryptocurrencies in the market. 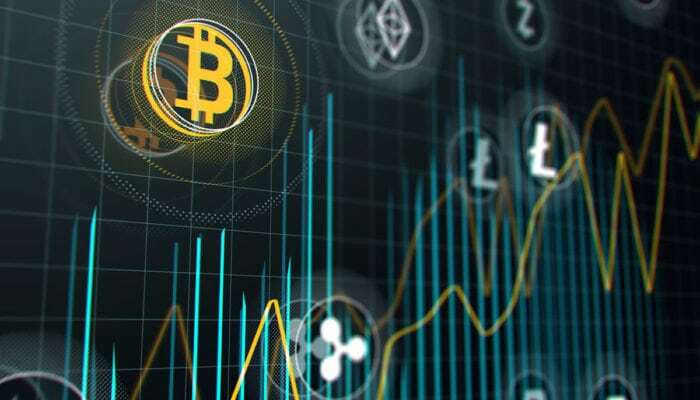 The reason for this instant surge in the crypto market is unidentified to anyone, the jump in the market to come close around the price of $5,089 which is instantly followed by reminiscences by $4,750. Bitcoin is totally crossed over 5% rises to $5,000 mark. The Bitcoin market and crypto market, in general, continues to be small relative to the rest of the marker – and emotional.” He further adds “It’s still very much subject to waves of enthusiasm. I don’t think today is anything special. While Ethereum, the second positioned digital currency has also made a jump in the day’s trading. It has jumped over 10%. The Ethereum make up to over $120 billion in its price for its high value. And on the other hand, XRP (Ripple), Litecoin and EOS have also jumped during day’s trading. Another expert on the cryptocurrency market, George Harrap, who is the CEO of Bitspark stated that his company is keeping “most things on pause,” until the surging in the market get settled. An event such as today’s will probably be seen negatively or viewed as this market doesn’t conform to the trading of traditional instruments. We have to realize that this asset class is only a decade old, and it only started getting mainstream attention five years ago.